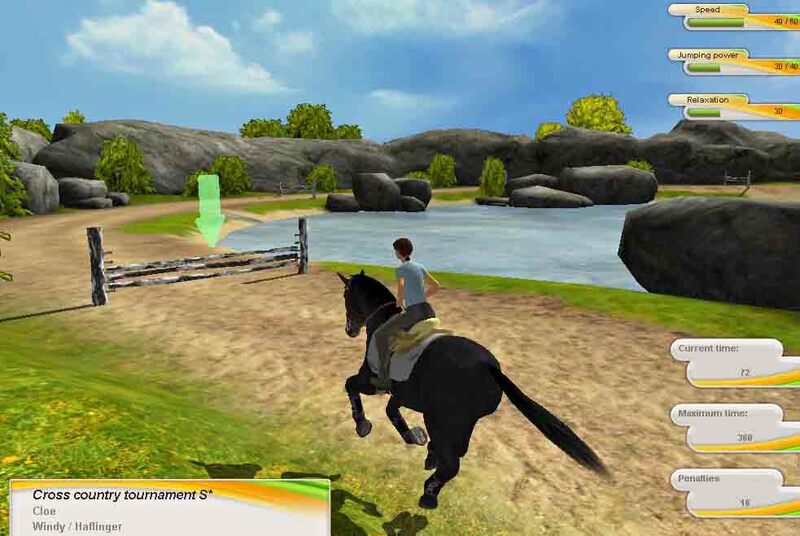 This is a simple 3D horse riding game where you can take care of your horse and compete to become the next champion in dressage, rallying or show jumping. Unfortunately you can play only 60 min for free. 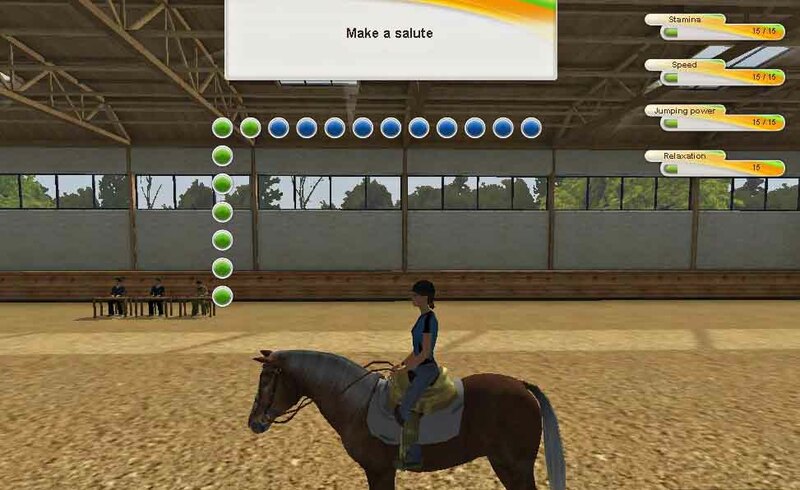 Tags: Dressage, Feed your horse, Grooming, Horse competitions, Horse jumping, Horse racing, Multiplayer, Riding, Take care of horses, Train horse. If you are looking for a game that has no storyline where you only have to enjoy the competitions, this is the right game for you. The main goal is training hard and be able to participate in tournaments, making your own path to the top. You can enjoy the game in three different modes: Hot Seat (where you can play with up to 6 friends in a local multiplayer. You all take turns after choosing the type of challenge you want. 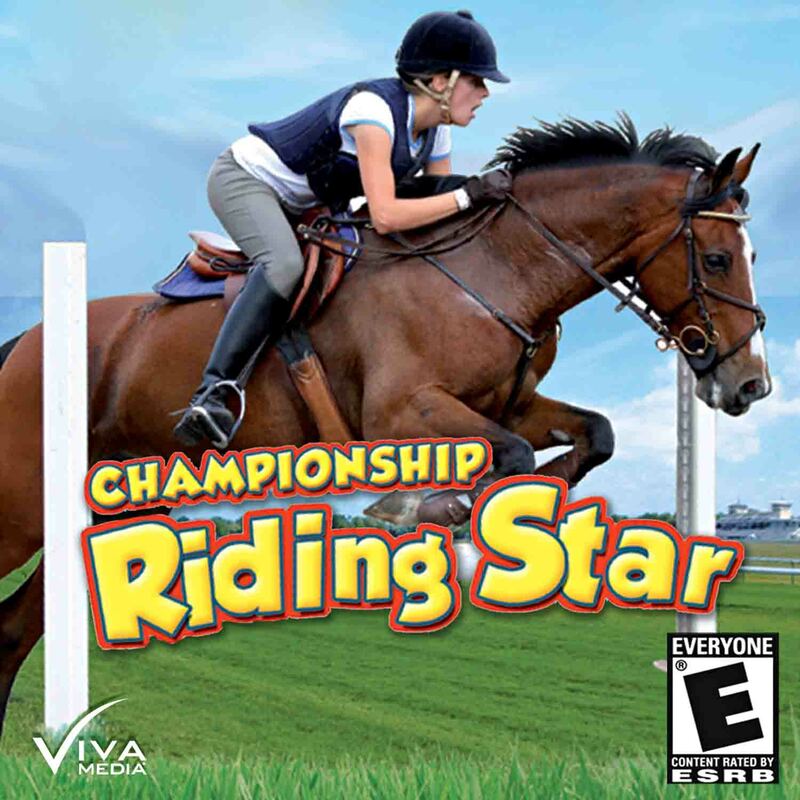 It’s really funny and you’ll have a blast finding out which one of you is the best rider); Free Game (where you chose any type of competition and test your skills in a relaxed way); and Career Mode. In this particular mode you’ll be able to customize your character and give it the look you desire, from the hair to the shoes. You can also choose the look of your horse, picking between three breeds (Arab, Haflinger and Hanoverian) and giving it the hair and coat that you desire. In this game mode, you’ll have a lot of tasks to do before you’re prepared to any competition. First you need to run to the stables and give your horse some affection and attention. You can groom him by cleaning his hooves and brush his hair. And don’t forget to give him some food and water and reward him with some treats. After all, he is a champion just like you! Then you can head for the training area. Here you can train speed, stamina and jumping and evolve the level of each one of them. To control the speed simply use W and S in your keyboard, use the reins with your mouse and jump with space. When you feel that you’re well prepared, put on a saddle in your equestrian friend and try out one of the three available competitions. 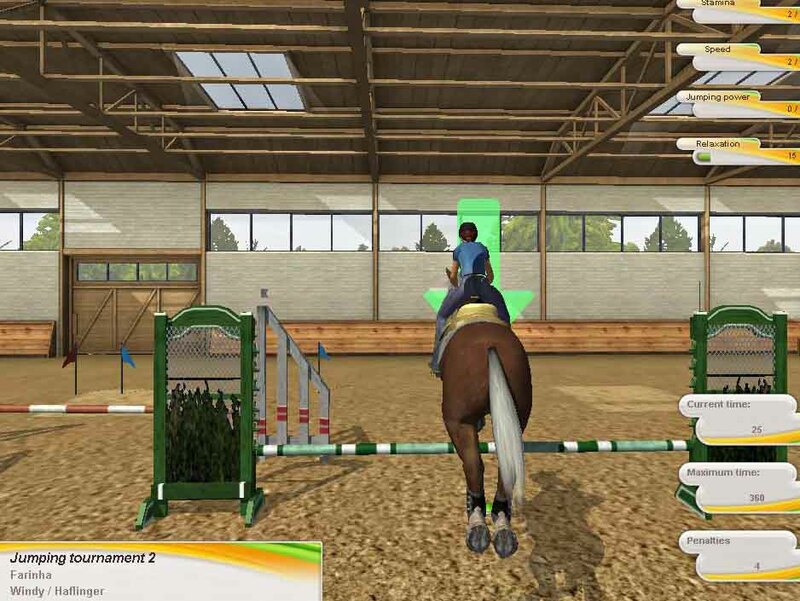 You can choose between Show Jumping (where you have to jump over some obstacles); Rallying (that’s basically the same as show jumping but in this mode you can enjoy a beautiful landscape); and Dressage (where you need to perform some elegant exercises while changing gaits and making figures). When you climb the podium, you can win prizes and unlock more accessories for your horse. In the competition, you’ll see some beautiful levels with amazing cheerful colors. Although the 3D graphics aren’t amazing, they are enough to make you want to play this game. The good side is that you can give it a free try without buying it. On the other hand, you can only have 60 minutes for free. If you enjoyed it, you need to buy it to continue your adventure, which is kind of annoying because we should be able to keep it for free. With this game you’ll have the experience of a real champion while you train hard to reach the top. It’s a simple game that certainly while make you have a really good time, alone or with your friends. Try it out and have fun. 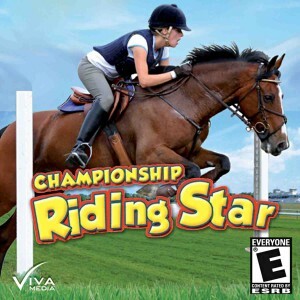 This is by far the most amazing online horse game for PC and Mac. Superb dreamy graphics, great story and lot’s of adventures. One gets simply hooked on this game. 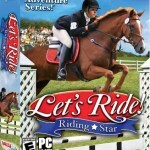 Fun horse game for both PC and Mac! Solid graphics even at lower resolution. Fun that you can shoose between a zebra or a unicorn. Get’s pretty boring after a while as there is no story. This game does not have the best graphics and a little clunky in places, but a good game for someone who is just getting used a Nintendo system or gaming in general. 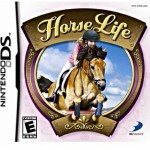 Horse loving gals will enjoy this game. 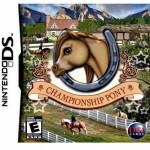 Great 3D graphics make this Nintendo game pop! After taking the time to learn how to play it correctly, this game is a lot of fun and it is also challenging. This is not a short game, so it can be enjoyed for some time. Prepare to live the real experience of a great World Champion and build your way up to the top in different competitions. Choose your horse, gear up and train hard to achieve your goals. 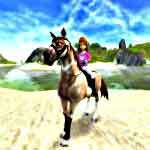 Play Free Horse Games Now!